The Turner Classic Movies Film Festival began on Thursday March 29. The flight from Chicago to LA was uneventful (hallalujah!). After settling in at my hotel, I walked over to the Hollywood Roosevelt Hotel and Club TCM. I was hoping to connect with folks that I’ve known via social media for years in-person for the first time. After walking around the room for several minutes, a woman walked up to me and said, “Stephen?” I replied yes and Pam, a Twitter friend, was the first person I met. After Pam it was Kelly, Joel, Will, Aurora, Laura, and Kristina. Kristina and I have known each other from social media for several years. Two years ago we organized and managed the Val Lewton blogathon together. It was wonderful to finally meet her in person to talk about classic movies and the excitement (and our good fortune) about attending the festival for the first time. I wasn't going to be seeing this film. To save some money, I opted out of attending The Sound of Music. I’m sure it would have been fun, but I was willing to pass up that opportunity. My first movie choice was also my first (and only) disappointment. 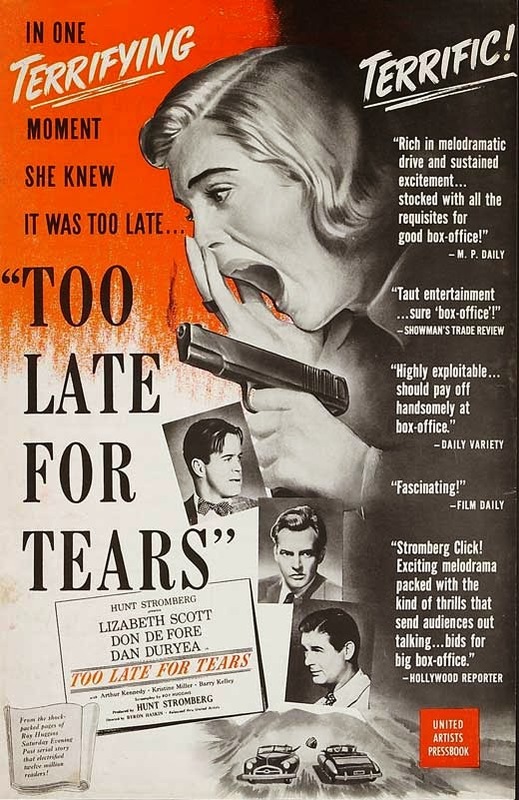 I wanted to see Too Late For Tears (1949) starring Lizabeth Scott, but it was sold out! So instead, I went into The Man Who Shot Liberty Valance (1962) starring John Wayne, Jimmy Stewart, and Vera Miles. A John Ford classic and one of my favorites of his, so it was a fine consolation for missing out on Tears. After Valance, it was a choice between My Man Godfrey (1936), Breaker Morant (1980), or The Sea Hawk (1940). I decided I wanted to laugh and Godfrey is a movie I never tire of seeing. And on a big screen with an audience, it was better than I could have imagined. The print screened was beautiful; It looked brand new. With the constant laughter emanating from the theater, it was almost like seeing the film for the very first time. After Godfrey, it was time to go back to the hotel and try and catch up (or at least try) on my two hours of jet lag and plan day two! To read my overview of the Turner Classic Movies Film Festival, click here.